The West Virginia Mountaineers rolled into the week on a high note as the No. 6-ranked team in the country and had a chance to climb even higher. Instead, West Virginia was wiped out by Iowa State. West Virginia jumped out to a 7-0 lead midway through the first quarter, but Iowa State quickly answered back with a score of its own. When the Cyclones took a 13-7 lead before the end of the first quarter, everything came tumbling down for the Mountaineers. A team that never needed to make a comeback this year until Saturday showed an inability to do so throughout this game. Short drives quickly became the norm for West Virginia and a prolific passing game produced just 100 yards, meanwhile, Grier spent much of the game on his back and was hit repeatedly. 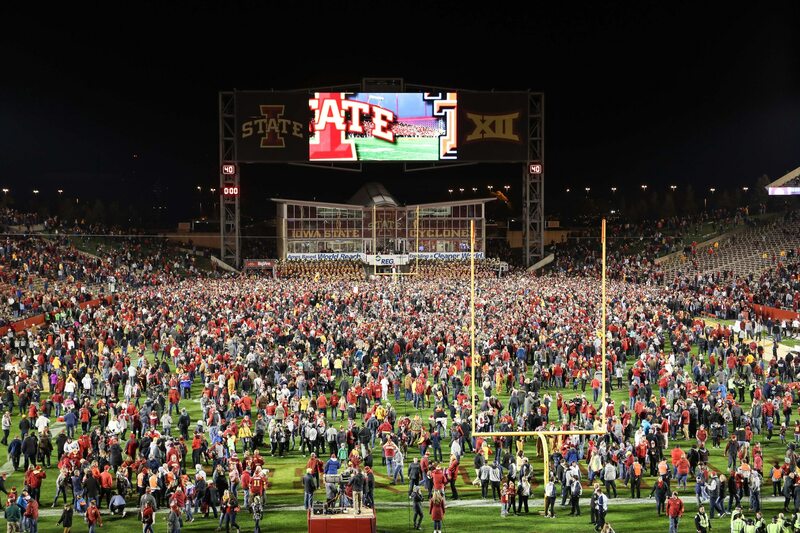 Behind a dominant performance by its defense and great control of the football to kill the clock, Iowa State coasted to a 30-14 victory for one of the bigger upsets in a Saturday filled with them. As the final seconds ticked away, Twitter didn’t hold back from roasting the Mountaineers after a stunning loss. Not gonna lie, that’s the worst game I’ve ever seen the mountaineers play offensively. I lived through Skyler Howard and Paul Millard at QB and I’ve never seen them play that bad. West Virginia has yet to come back from any type of deficit through 6 games. Didn’t trail at all during the 5-0 start. Once they fell behind tonight, they never regained the lead. West Virginia’s going to leave Ames covered in tire tracks and scorch marks, my goodness.